A group of seven Chinese astronauts recruited this May will not be participating in space programs for another three to four years until the end of a two-phase preparation regimen, an instructor at the Astronaut Center of China told Beijing Evening News on Saturday. The first generation of Chinese astronauts, including those from previous missions, continue to undergo preparations, the trainer said during a China Astronaut Experience Camp that hosted 50 students aged between 10 and 18 and ended Saturday. The five men and two women, each recruited from China's air force for future missions are now studying basic theories including automatic control, psychology and medical science, the report said. China's National Tourism Administration (NTA) issued an advisory Saturday regarding travel to Hong Kong after a group of mainland visitors was reportedly videotaped being verbally abused and harassed by their tour guide. A spokesman said the NTA had contacted tourism authorities in the special administrative region for further information, while ordering a probe into the case by tourism regulatory departments and travel agencies in the mainland. An undated video clip currently circulating online shows a Hong Kong tour guide allegedly upbraiding a group of mainland visitors and pressuring them to shop. The incident has triggered a tremendous backlash from the mainland public. The spokesman said the NTA attached great concern to the protection of mainland tourists' rights in Hong Kong, and was concerned about the measures taken by Hong Kong tourism authority regarding such incidents. Saudi Basic Industries Corporation (SABIC) on Sunday announced that it had signed a 6 billion yuan agreement to supply 600,000 tons of polymer products to eight Chinese companies. SABIC, one of the world's top six petrochemical companies, is fast expanding its foothold in China, and plans to launch its mainland headquarters in Pudong by the end of 2012, Ahmed Al Umar, vice-president of SABIC Asia-Pacific, said during a ceremony inside the Saudi Pavilion at the Expo Garden. 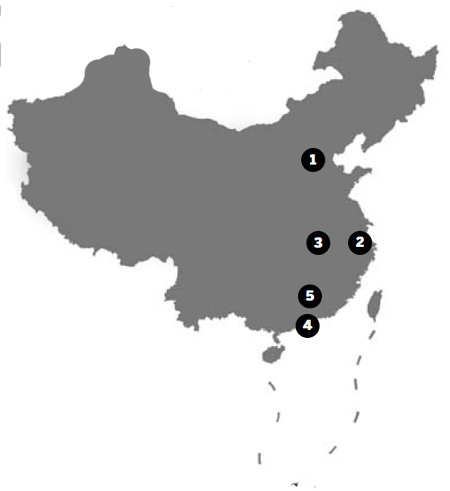 So far, the company has 13 offices in China, including Shanghai, Hong Kong and Beijing. It also has four manufacturing facilities in Shanghai, Nansha, Zhongshan, Tianjin, and one technology center in Shanghai. The 2010 China Enterprise 500 Publication Ceremony and Executive Summit will be held from Sept 4-6 in Hefei, capital of East China's Anhui province. This year's event, themed as "Entering a new development era: the mission and responsibilities of large enterprises", will focus on the potential, profitability as well as the initiative of the country's enterprises, said Wang Jiming, executive vice-president of the China Enterprise Confederation at a Beijing news conference. Several lists of 500 of the biggest enterprises in their respective industries and research reports will also be on display during the event, he added. Anhui Vice-Governor Huang Haisong and Hefei Vice-Mayor Zhang Xiaolin will headline the conference and make speeches during the event. Hong Kong's well-known teacher to many pop stars, Dai Sicong, died of a heart attack on Sunday morning at a Hong Kong hospital. He was 69. Dai's daughter told reporters outside the hospital that his father was admitted to the hospital on Saturday morning after a sudden heart attack, where he succumbed following complications. Dai moved to Hong Kong in the 1960s from the mainland. He later studied singing and music in Japan before coming back to Hong Kong. Dai was former teacher to a host of famous pop stars such as Zhang Mingmin, Andy Lau and Faye Wong, according to local media. The anti-hair-loss formula shampoo and its Royal Wind brand, produced by Guangdong-based herbal shampoo maker BaWang International Group, and that have been accused of containing the cancer-causing substance dioxane, are safe, the State Food and Drug Administration declared late Friday. The administration said the amount of dioxins in samples of the alleged unsafe products would not cause harm to consumers' health. Officials, however, would not disclose the detailed contents of the substance.